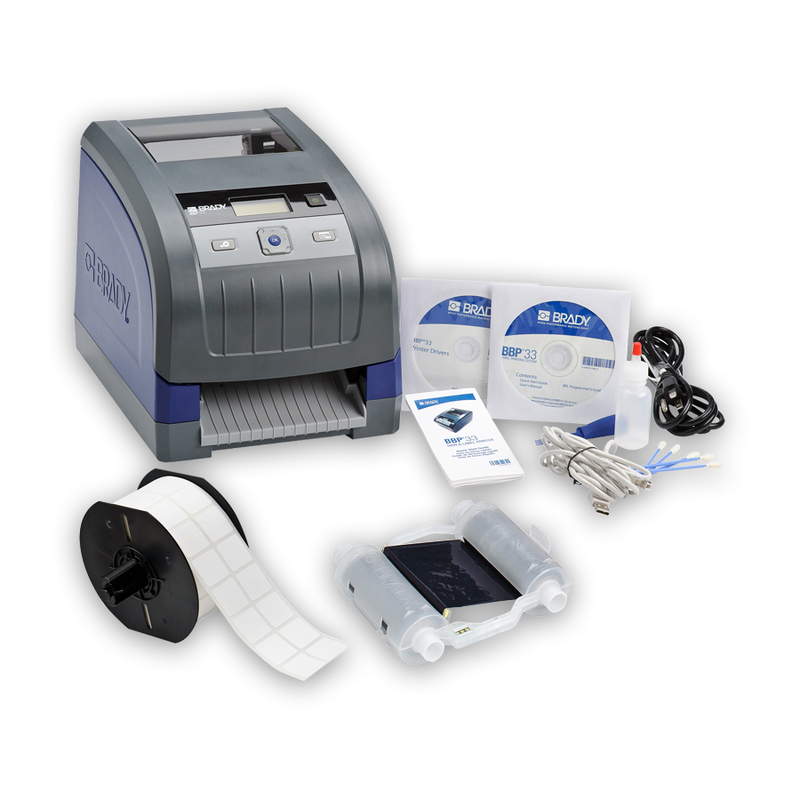 Introducing the BBP®33 Label Printer - and a whole new way to make labels. No more tedious, time-consuming setups or calibrations. No more difficult-to-load materials. No more wasted labels. No more hassles. This printer is so simple to use, most of our customers don’t even believe us the first time we show them. But believe it, because it really is that easy. 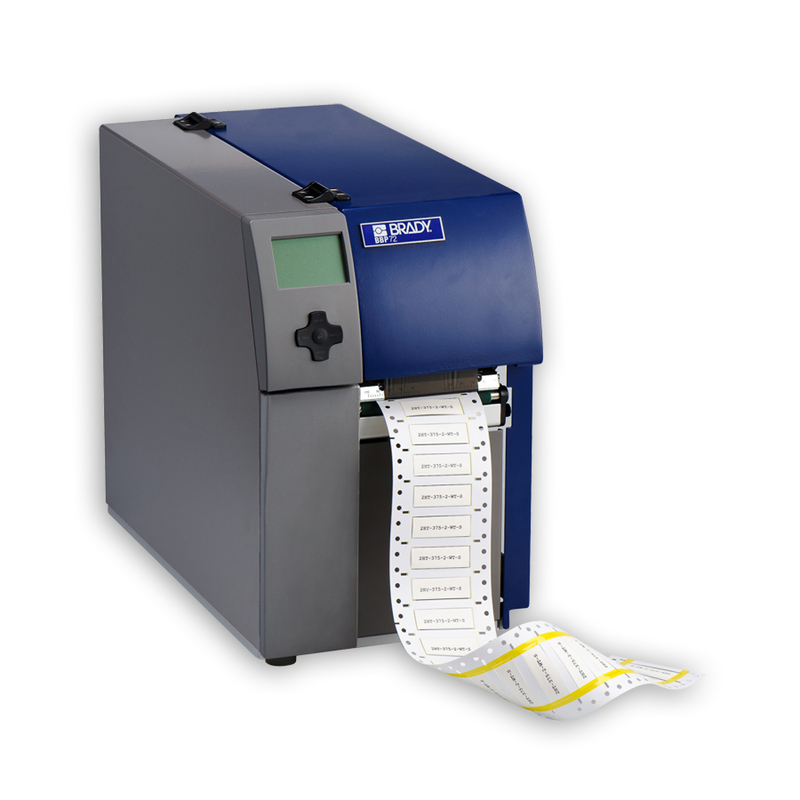 It’s an industrial label printer that’s simple, powerful and brilliantly fast. Exactly the way label making should be. - Complete ribbon and label changeovers, in as fast as 20 seconds! - Drop in the cartridge, lock it and start typing – that’s all you need to do! Prints on the first label! - No more wasted labels – even on sleeves! With over 425 parts in 39 materials, this printer meets your primary labeling needs, and so much more. - Plus, custom label sizes are available! Automatic label setup with no calibration! 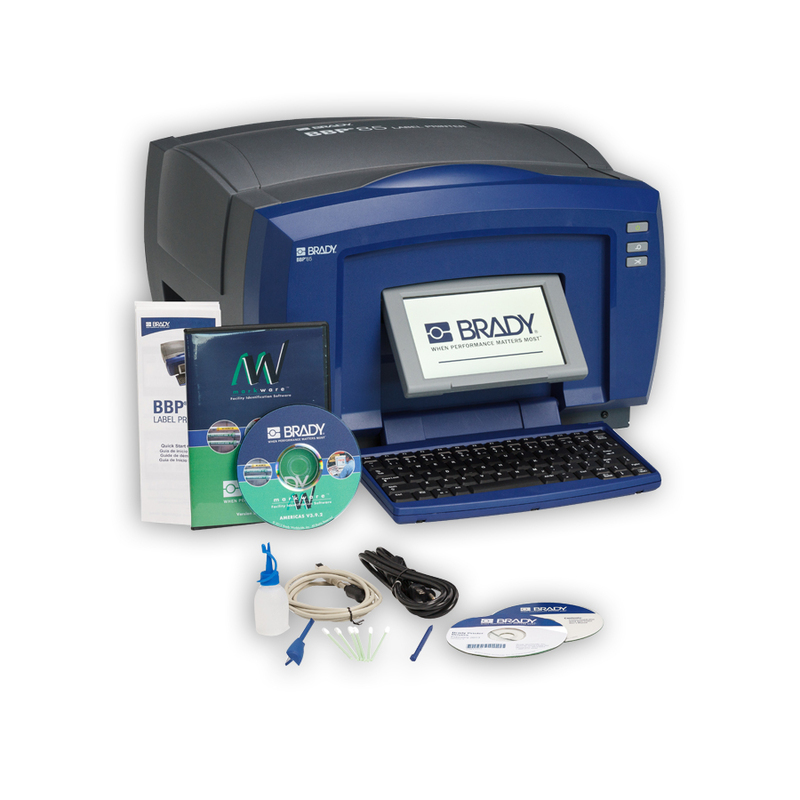 The printer “reads” your cartridges and then automatically sets up the label correctly in your Brady software. The printer does all of this for you! High performance “full hassle-free” printing where smart chip supplies automatically set up label eliminating calibration steps and label waste. Time saving drop-lock-and-print label rolls and ribbons. True multi-application printer with complete range of supplies for both Wire, Cable, Product and Electronics applications as well as Safety, Facility and Lean/5S applications. * Not a guarantee of performance. Depends on specific label size, text printed and other factors. The BBP®72 Double-Sided Sleeve Printer is the ultimate sleeving solution for printing two-sided heat shrink sleeves. Designed to print on both the top and the bottom of the sleeve simultaneously, the BBP®72 Double-Sided Sleeve Printer creates sleeves in a seamless one-pass operation. The BBP®72 Double-Sided Sleeve Printer allows you to print on both sides of the heat shrink tubing, like Brady’s PermaSleeve® and Heatex™ materials, without the time-consuming, tedious process of re-winding and re-printing the sleeves. Save time, minimize waste and reduce sleeving errors with the BBP®72 printer. 1250 up to 1257, DOS 437,737, 775, 850, 852, 857, 862, 864, 866,869, EBCDIC 500, ISO 8859-1 up to -10 and -13 up to -16, WinOEM 720, UTF-8, Macintosh Roman, DEC MCS, K0I8-R. All West and East European latin, cyrillic, greek, hebrew and arabic characters are supported. Then there’s BIG and BOLD from Brady. 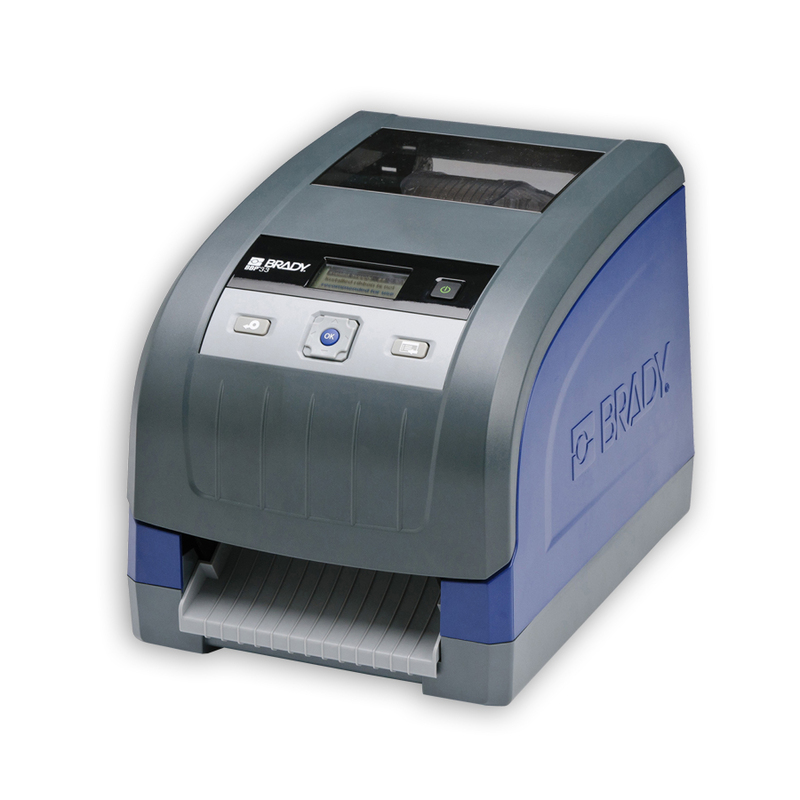 The BBP®85 Label Printer allows you to create 10” labels in multiple colors, and it has an easier-than-ever interface that anyone on your team can use! No more complex, tedious design steps. Now you can just walk up and print… anyone can do it! Create extra-large 10’ custom signs and labels right now! This printer has our fastest, easiest operating system, so anyone on your team can design visuals with little to no training. The ideal printer for multi-user Lean 5S and kaizen labeling events! - Just walk up and print…it really is that easy! - Timesaving label design apps to create pipe markers, safety signs, arc flash, right-to-know labels, and more! - Pre-printed sign header supplies for GHS, arc flash and OSHA or ANSI safety signs, which means only one print pass! 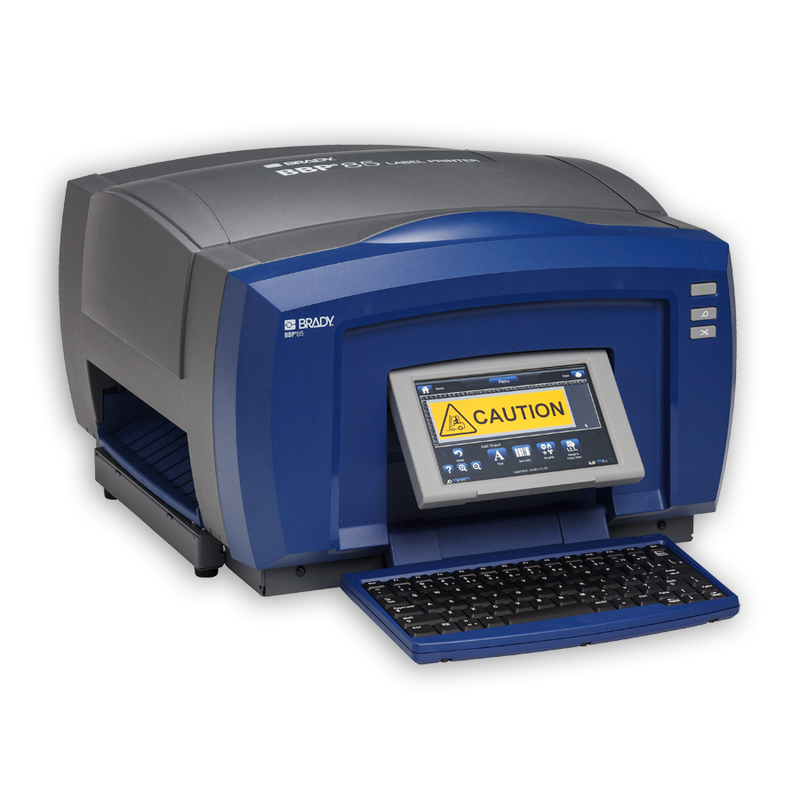 Description Larger format facility ID printer with ultimate walkup- and-print ease of no calibration set-up, no label waste and 0-second supply changeovers. Revolutionary ease of use makes it ideal for training multiple users and saving wasted time and wasted label cost. Label Material Types Extremely agressive 8-10 year outdoor vinyl with high tack and chemical resistance, plus reflective, 10-hour glow- in-thedark and polyester.